After watching her deeply engaged students and teachers gather in celebration after an inspiring project showcase last fall, a proud elementary school Principal—the new head of a school that had underperformed for years—exclaimed to me: “Every teacher needs to learn how to do this!” In another school, a 6th-grade science teacher related how multiple students voluntarily confided that this kind of learning had changed their lives. “These are middle schoolers telling me they now love school,” the teacher said, raising her eyebrows and smiling. 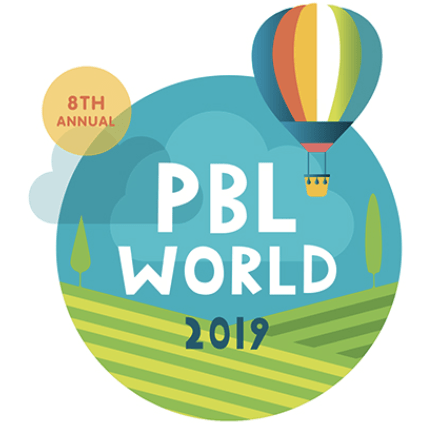 By this, the Principal and the teacher both meant project-based learning (PBL), a term that stands on its own, but draws its success from a deep subset of practices including inquiry, personalization, design thinking, social-emotional growth and 21st Century skills instruction. When combined into a seamless learning experience and done well, students discover the fruits of a creative journey that leads to innovation and deeper learning. A kind of magic occurs. But they’re wrong. This kind of magic can be replicated. In fact, it’s no longer a choice: The ‘new normal’ sweeping across the globe will force education to take PBL to scale. Beyond the decline of tolerance—already testing educators through instances of bullying and racial animosity—a deeply troubling shift is visible that challenges conventional educators by striking at the very heart of learning: Facts have lost force, fake news rises and reason seems obsolete. Recall of content and teacher-directed outcomes won’t suffice. Neither will the usual bromides of teaching “21st Century skills” and “critical thinking” make the necessary difference. Leadership experts distinguish technical solutions versus adaptive thinking. Technical solutions to our dilemma abound, such as doubling down on critical thinking or media literacy, or introducing “civic online reasoning” as a subject. But adaptive thinking starts with admitting system failure. That means agreeing that the present curriculum lacks the power to contend with the fresh circumstances of the “global world 2.0”. The Mind Shift: Agree that 21st Century Teaching is One Thing. Several years ago, in the preface to my PBL Design and Coaching Guide, I termed project-based learning a ‘bridge just far enough’, meaning PBL would serve to take us into the next evolutionary stage of education. We’re getting closer to that reality, but project-based learning, problem-based learning, place-based learning, inquiry, personalization, competency-based instruction, design thinking, 21st-century skills, blended learning, maker education and others have begun to compete. This fragmentation is self-defeating. Each is just a slightly different means to the same end, which is to challenge students to become creative, purposeful problem solvers within a more personalized system. Our first goal should be to envision every 21st-century teacher as conversant in all the above aspects of learning. The Challenge: Define the Skill Set. Student-centered, personalized, inquiry-based learning requires a teacher-centered skill set that goes far beyond normal lesson planning, strategies, and conventional descriptions of a teacher’s role, but where has the skill set necessary to fuel the process of inquiry and problem solving been identified? It’s imperative to define the core skills necessary for the job, including culture-building, establishing close relationships and safe spaces; redefining rigor by blending mastery, inquiry, standards and high performance; being a coach and mentor; knowing PBL best practices and methods; identifying, honoring and supporting individual personal strengths; knowing how to give feedback on skills affected by individual talent and personality, such as communication and collaboration; showing intellectual depth by filtering and adapting core content to the needs of the students; admiring, appreciating and focusing on authentic learning that connects the classroom to the world; and possessing a forward-leaning, optimistic outlook that inspires creativity. In other words: Stop relying on vague references to the ‘guide on the side’ and start identifying and training for key competencies. The Innovation: Go From Work to Web, and Web to Work. Now to the heart of the solution: how do we train enough teachers? Getting rid of one-off workshops, embracing professional collaboration and making professional learning an ongoing endeavor for teachers are overdue and welcome efforts, but in truth these are merely portals for what’s coming: personalized, digital, professional learning. This trend is increasingly visible as more teachers participate through media in the emerging global conversation around inquiry. Teachers must be encouraged, expected, and incentivized to let go of an industrial self-image as recipients of learning and reinvent themselves as self-motivated co-learners—just like the students. Blogs, tweets, MOOC’s, webinars and simple downloads will not suffice for inquiry-based teaching, which relies on close human interaction. The online experience must be redefined as a rich, collaborative experience so that teachers routinely use digital tools to improve their skill set and bring to the task the deeper engagement and reflection necessary to master the inquiry process. All this must be backed by a deep cadre of trained coaches. Every teacher must feel comfortable oscillating between discrete interactions in the classroom and social learning platforms that disseminate world-class best practices, allow for network interactions, offer just in time feedback and seamlessly integrate online and in class learning—a kind of work to web, and web to work, personalized solution for every teacher. What do Education Leaders Need? Surprisingly, What Students Do! Thom Markham is an author, keynoter, consultant and a founding father of PBL. Follow him on Twitter: @thommarkham.